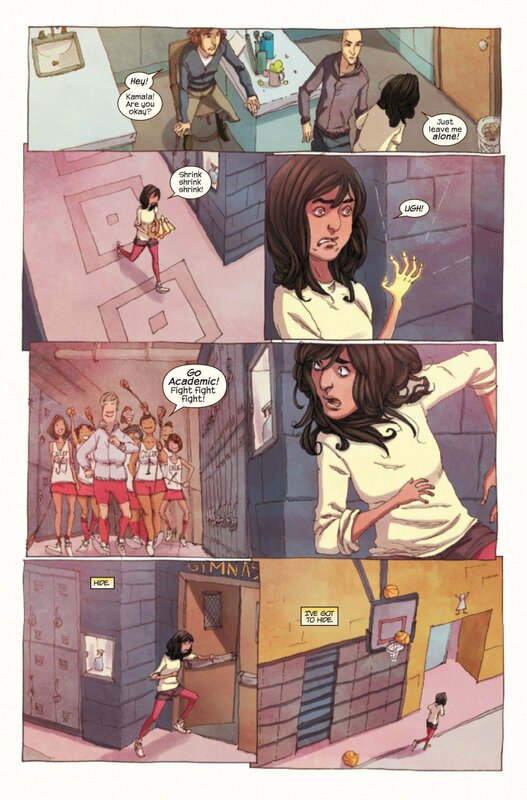 Exclusive Preview: Ms. Marvel #3 Click here to view hi-res. 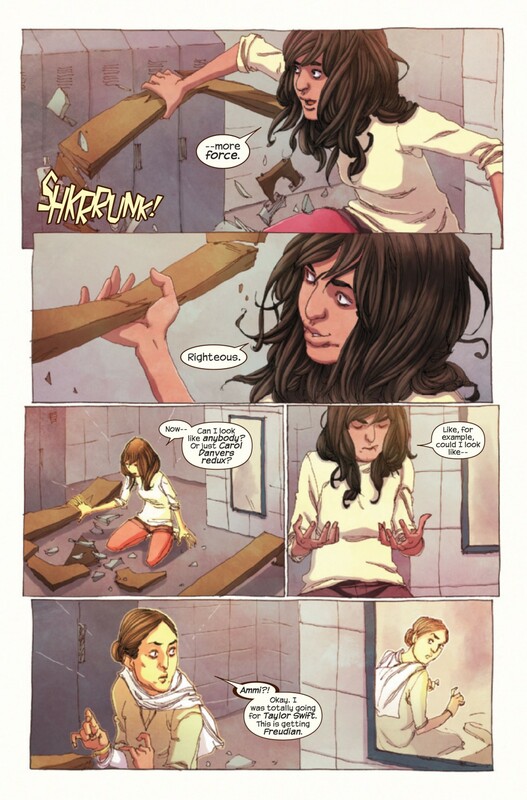 Marvel has given us an exclusive first look at next week’s new issue of Ms. Marvel featuring newbie hero, Kamala Khan. 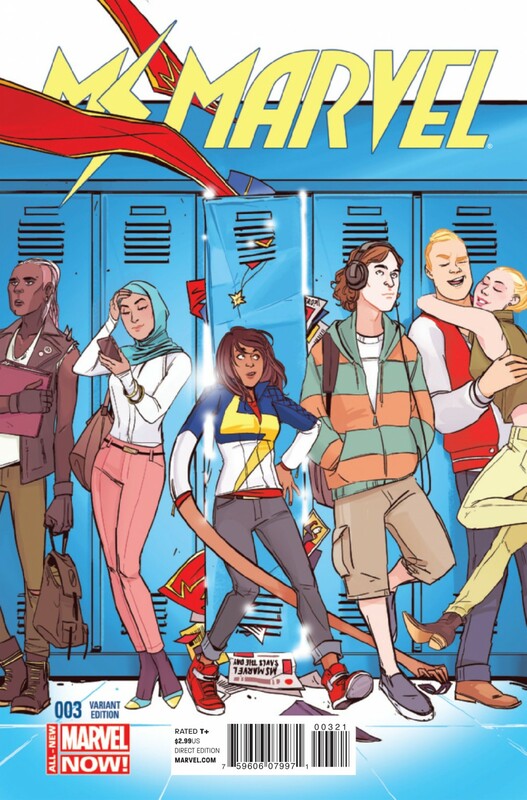 We’ve also got a preview of the variant cover by Hawkeye’s Annie Wu! 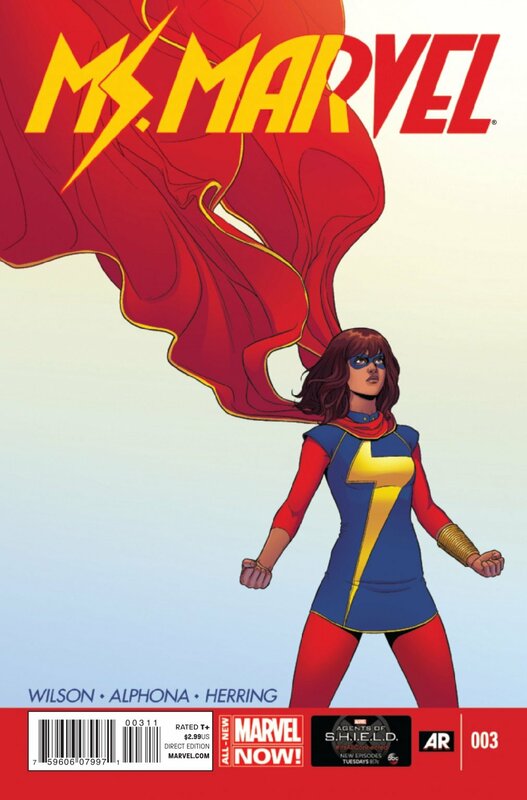 • The All-New Ms. Marvel has already gained international fame. 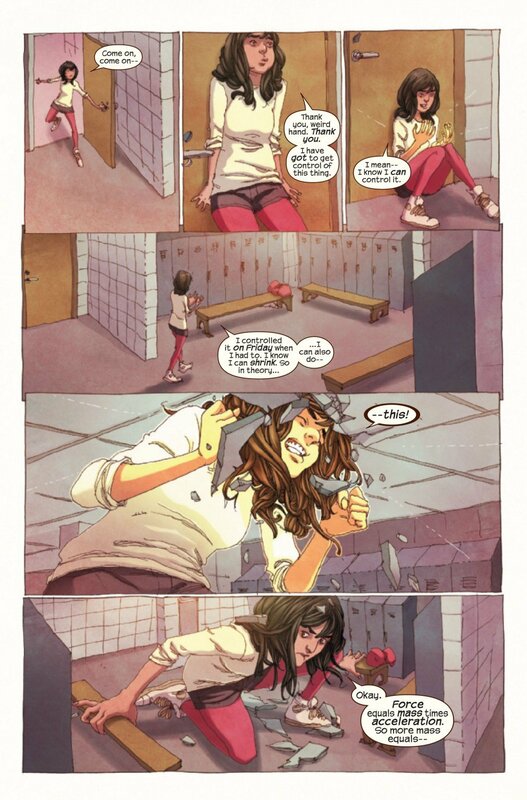 • But in Kamala’s case, star-power comes with a whole lot of… awkwardness. • Find out why the most exciting new Marvel hero is also the most loveable! Have you been reading this title? I’m enjoying it a lot so far.